While solar is the fastest-growing energy source in the world, key concerns around solar power’s inherent variability threaten to de-rail that scale-up . Currently, integration of intermittent solar resources into the grid creates added complication to load management, leading some utilities to reject it altogether, while other operators may penalize the producers via rate increases or force solar developers to include storage devices on-site to smooth out power delivery at the point of production. However these efforts at mitigation unfold, it is increasingly clear to parties on all sides that energy storage will be pivotally important in the drive to boost the integration of variable renewable sources into power infrastructures across the globe. Thoughtfully implemented storage technologies can reduce peak demand, improve day-to-day reliability, provide emergency power in case of interrupted generation, reduce consumer and utility costs by easing load balance challenges, decrease emissions, and increase the amount of distributed and renewable energy that makes it into the grid. While energy storage has long been an area of concern for scientists and engineers, there has been no comprehensive single text covering the storage methods available to solar power producers, which leaves a lamentable gap in the literature core to this important field. 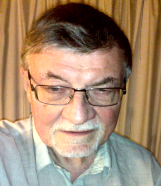 Solar Energy Storage aims to become the authoritative work on the topic, incorporating contributions from an internationally recognized group of top authors from both industry and academia, focused on providing information from underlying scientific fundamentals to practical applications, and emphasizing the latest technological developments driving this discipline forward. Expert contributing authors explain current and emergent storage technologies for solar, thermal, and photovoltaic applications. 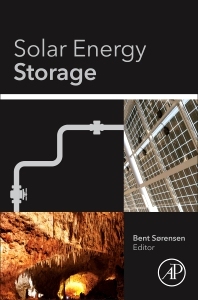 Sheds light on the economic status of solar storage facilities, including case studies of the particular challenges that solar energy systems present to remote locations. Includes information on: chemical storage mechanisms, mechanical storage tactics, pumped hydro, thermal storage, and storage strategies for systems of all sizes—from centralized utilities to distributed generation.